ILOILO CITY, March 3 (PIA6) --- The Gawad Kalinga Community Development Foundation Inc. (GK) will assist residents lead a holistic community life in the Iloilo River Plains Subdivision Phase I project in Brgy. Lanit, Jaro, Iloilo. 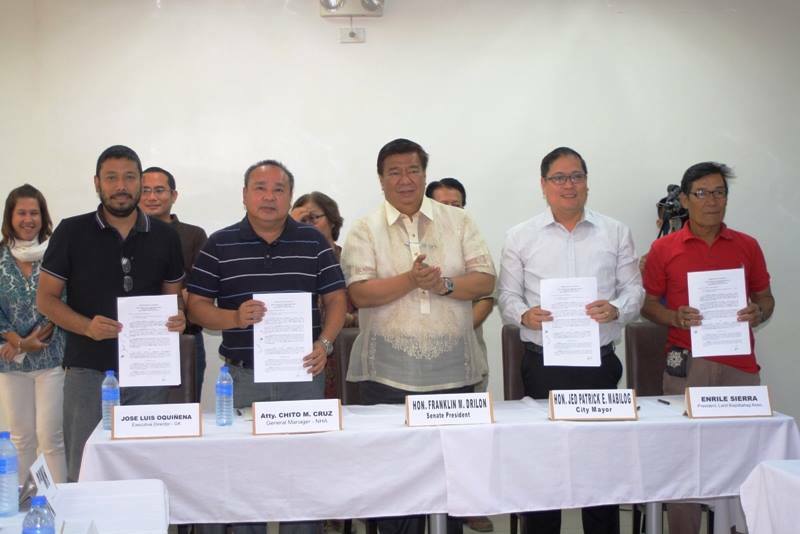 Gawad Kalinga, represented by its Executive Director Jose Luis Oquiñena, signed a Memorandum of Agreement (MOA) for the endeavor with Iloilo City Mayor Jed Patrick Mabilog, National Housing Authority (NHA) Atty. Chito Salazar and Lanit Kapitbahayan Association President Enrile Sierra. for the estate management and social preparation of the 1000 families in the Iloilo Riverplains Subdivision. A legacy of Senator Franklin Drilon. GK, a non-stock and non-profit foundation, is undertaking the role of building communities in depressed areas with the primary objective to become catalysts in uplifting the quality of life of the poor through the Gawad Kalinga program.The MOA stated that GK shall create a Caretaker Team together with the city government and NHA. Gawad Kalinga shall organize communities into GK Kapitbahayans or GK neighborhood associations, deliver program on values formation to the beneficiaries, implement the “Kasunduan” approach as prescribed by the team, and mentor community leaders towards self-governance. Under the “Kasunduan”, the residents in the relocation site are expected to follow rules set by the GK Caretaker team and lead a holistic, dignified, integrated, and sustainable community life. President of the Lanit Kapitbahayan Association, and witnessed by Ilonggo Senate President Franklin Drilon. 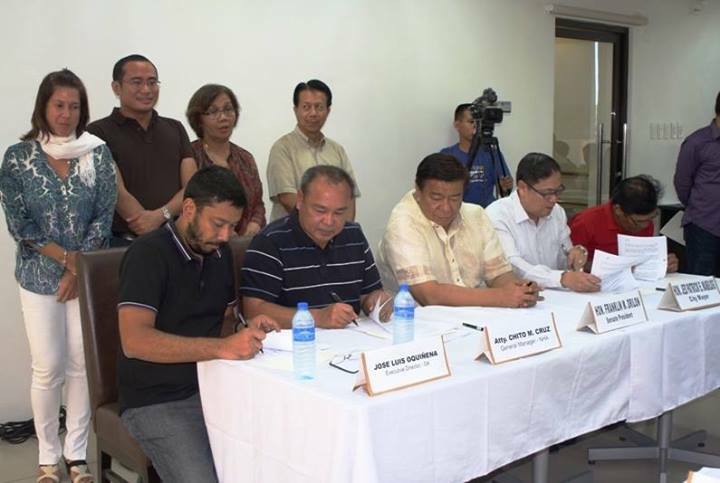 This was held last Friday (March 7, 2014) at the Iloilo City Hall during the Iloilo River Development Council Meeting. Before residents can transfer to the Lanit relocation site, they would have to undergo 12 sessions of values formation that include love of self, being brother’s keeper to their own community, and love of God and country.